Hiring a maid is one of the most controversial topics today. There has been a rise in the number of cases where maids mistreat the family members especially the children or the elderly. It is for this reason that today people are very keen when looking for maids to take care of their elderly family members. Besides children, elderly people also need to have maids. This is because they always have experience a lot of difficulties doing simple chores like cooking, cleaning and even washing clothes. While some people take their parents to elderly homes, some people choose to hire maids for their parents. This way, the parents are able to enjoy the comfort of their own home and privacy. When you are choosing a maid for the elderly, it is important to consider a few things. 1. Is the maid from an agency? This is a very important tip to consider today. Due to the rise in cases of abuse and even murder by maids, people are looking to hire full time maids from agencies today. This is because these agencies often scrutinize the maids before they hire them. This way, you are able to rest easy because the maid you will get from the agency is a good one. In addition, the agency will also be liable for any theft and damages that the maid will cause in your home. When you want to hire a maid to take care of your baby or an elderly person, it is important to consider the skills and qualifications that she has. Before you hire the maid, first interview her. This is the only chance you will get to know whether she is what you want or not. During the interview, in order to know how well she can handle different issues, bring different situations and let her explain what she would do if they were to happen. The responses she gives will help enlighten you on the skills she has and experience in taking care of the elderly and children. During the interview, you can also tell her what you expect her to do when she gets the job so that you she can tell you what she is good at and what she is not good at. In addition to skills, it is also very important to consider her working experience. The maids that have many years of experience in taking care of the elderly will often cost more. However, with these maids, there is no training required and you are sure that they are the best at the job. The maids that have very few years of experience and those without any experience at all, the cost will definitely be cheaper. However, with these maids, you will require a lot of time and patience to train them to do their job effectively. However when you find a maid that has been fired by several agencies over a short period of time, then this is a cause for alarm. Before you consider hiring her, ensure you fully understand the reason why she was fired that many times. 4. Can she interact well with the elderly? When you are choosing a maid for the elderly, it is also very important to consider how she interacts with elderly people. Some of the tips to look out for to know whether she will interact well with them include how fluent she is in mother tongue. Many elderly people love and are more comfortable speaking in mother tongue. So that the maid is socially active and accepted by the elderly, it may be helpful to find one that is fluent in other tongue. The maid should also be able to cook the food the elderly people love. If she is not from Singapore, she may require some time to learn. Different maids will settle for different terms of payment. It is important to find one that is suitable for your needs. In most cases, maids often have one day off and you can negotiate with the maid so that it is either a permanent day or any day of her choosing. For example, if you visit your elderly parents every Wednesday, finding a maid that will take Wednesdays as a day off may be the best deal for you. In addition to days off, you can also agree on the free personal hours she has to herself every day and even the mobile phone usage. These are very important so that the both of you know what is expected of her on a daily basis. When you are looking for a maid to hire for the elderly, you may be tempted to pick the first maid you interview. While this may help you save time, it limits you to the endless opportunities that are out there. When you hold many interviews, you are able to get the general scope of the maids available in your area. This way, you do not have to settle on the first maid you interview and work your way through your disagreements. There are many maids out there and who knows, you might even find one that is willing to offer more services for the same work. Hiring a maid can be a little tricky and challenging. This is because we all want to get the best maid that we can rely on to take care of our elderly parents. The guide above has some of the top tips to look out for when you are hiring a maid for the elderly. In addition she should be insured, pass a medical examination and have at least eight years of formal education. These are additional tips that can further help you out when you are sorting through your potential maids in order to find the best. Our bodies seem to take after a ring twist of value that starts in our beginning times and completes with our life. It is basic to fathom the senior's body and its limitations when searching for activities to bestow upon them. 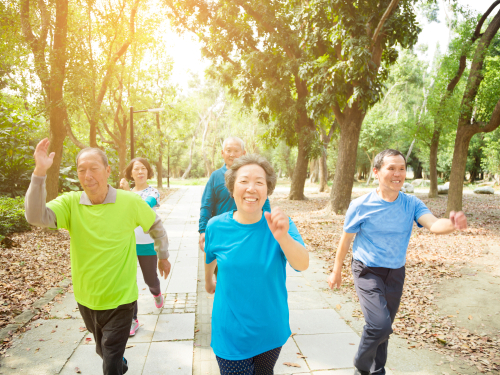 This may mean chatting with the senior's pro or tuning in to any torment or exhaustion that they may comprehend from completing a couple of activities. The following are some sheltered activities to do with elderly. - One movement to share is pausing for a minute to appreciate the rich excellence nature brings to the table. You may take a day to stroll in the recreation center, watch the flying creatures or go on a kayaking experience. In the event that you bring a camera, a great undertaking might be to influence a scrapbook of all your outside trips and the fowls you to see. Numerous individuals appreciate the outside, so it might be awesome to locate an open-air action that you both appreciate. - You could likewise alternate acquainting each other with your most loved open air exercises. In the event that the senior appreciates going for strolls in the recreation center and your side interest is drawing scenes or angling, you could set aside the opportunity to share everyone. By acquainting each other with your most loved open air exercises, you may locate an extraordinary new interest and make an important affair together. - There are numerous games in Singapore that you additionally may appreciate together that are not physically requesting, for example, tennis, swimming, horseshoes, and golf. It is critical to talk with the senior's specialist supplier before playing sports, to ensure that they have authorization. At times, the senior may have a condition keeping them from playing high-force sports. If so, there are a lot of different exercises that the expert may suggest. - Your people group may have a middle intended for these exercises like a YMCA or a nation club. Some secondary schools or colleges in Singapore will enable guests to utilize their athletic offices amid determined hours, contact your neighborhood schools to get some information about these openings. There may likewise be putt-putt greens, nearby stops and shorelines in your general vicinity for you rehearse athletic exercises or simply welcome the outside. 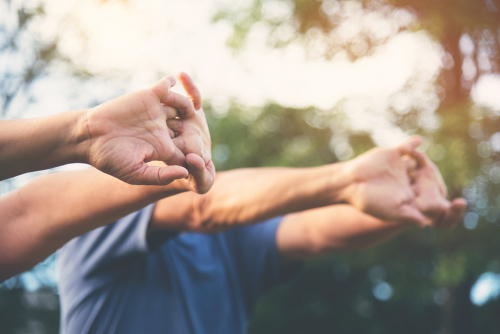 In the event that you appreciate working out, Yoga and Thai Chi are additionally approached to remain physically fit and are regularly suggested for the elderly. - When the senior is working out, it is essential to warm up and cool incrementally. This is energized for anybody practicing yet is more essential as we get more established. By extending, you are keeping your body from being worn out after exercises. We can frequently be left, in the first place, our exercises for the day, however, a straightforward ten-minute extend can go far. - The senior you are nurturing may not be prepared to do a few exercises and undertakings that numerous can do. Some may have restorative conditions or be taking drugs and have requested from their specialists to evade such exercises. For different senior citizens, their physical condition may make a few exercises both hazardous and amazingly tedious. Shopping can be seen as a straightforward errand to a few, yet for the elderly, it can end up troublesome and risky. - The senior may experience difficulty finding their way to the store, recalling what they require and is gambling physical damage. By helping the senior shop or do different exercises, you are making their lives simpler and possibly avoiding genuine damage. On the off chance that you are uncertain what exercises the senior might want assistance with, don't be hesitant to inquire. By assisting with excessively numerous exercises without being asked, you might hurt their pride and feeling of freedom. - If you lean toward writing or expressions of the human experience to different exercises, you may read or compose with the senior that you are tending to. Our visual perception may diminish radically as we age and perusing little content may wind up troublesome. Other individuals may create joint inflammation and experience torment while grasping a pencil to compose. For a few older folks, this misfortune can be annihilating. 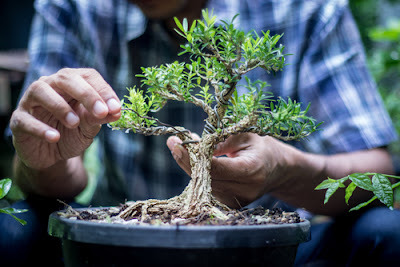 A few people have retirement longs for perusing each day or composing a novel, just to find that their physical condition keeps them from accomplishing this. - You may likewise travel to your nearby craftsmanship exhibition hall or display to impart the workmanship and instructive experience to a friend or family member. Before you go, ensure that the senior can legitimately observe with the goal that they are not frustrated when entering the historical center. A few sketches are situated a long way from the eyes and a few galleries may keep guests from getting excessively close. On the off chance that a separation run exists at your nearby exhibition hall or display, take a stab at calling ahead and inquiring as to whether they can suit the senior. - If you and the senior incline toward making more than seeing, there are some minimal effort expressions and artworks ventures accessible on the web. 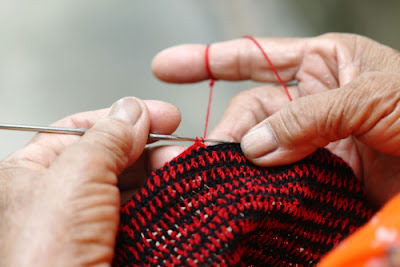 Making craftsmanship and following directions may give seniors a feeling of achievement and pride. Their creation will be with them perpetually as a trophy to their accomplishment and with you as an indication of your empathy. Once in a while, nearby craftsmanship focuses have workmanship classes accessible for painting, dirt or mosaics and theater. By helping the senior in these straightforward exercises, you may simply be working with them to accomplish their fantasies and desire. Regardless of whether the senior does not seek to be the following Herman Melville, perusing and composing is a basic action in the present society that you can help them to do. An incredible method to invest energy with each other and spread the estimation of information might be to share your most loved books or ballads. The senior might know about stunning works of art books and lyrics that you have not yet found and you may have an understanding of the most recent smash hits. Together, you can share the rich experience of perusing and investigate new books. There are numerous different exercises that you can impart to the elderly. The imperative thing is to be imaginative and select things that you both appreciate doing. You can acquaint each other with new exercises, yet nobody likes to be constrained into exercises that they loathe. In the event that the senior requests that you complete an action that you hate, there is no requirement for you to keep doing it. On the off chance that the senior appears to not appreciate a movement you share with them, suggest something unique. 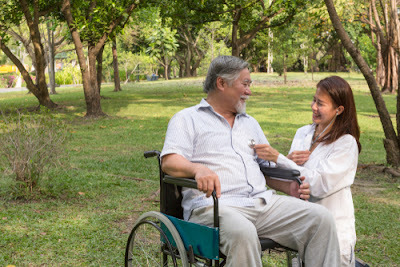 Elderly home care is the fulfillment of special needs and requirements which are unique to senior citizens while they are at home. It involves a supervisory personnel support by an organization, agency or an individual providing personal care and rehabilitation services. 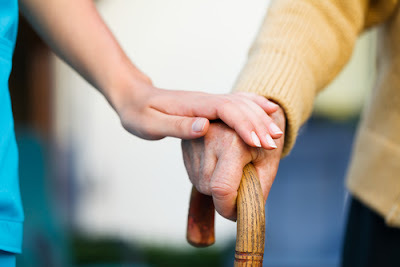 The broad term encompasses home care services such as home therapy, home nursing, caregiving, housekeeping among others. 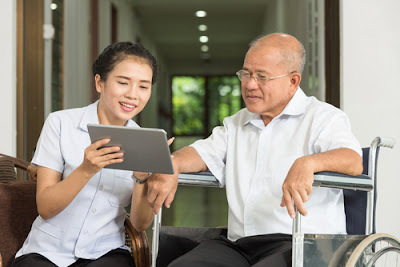 There is a wide variety of different types of elderly home care services found in Singapore as well as differentiating family perspectives on elderly citizens which means that elderly home care cannot be limited to any one specific practice. 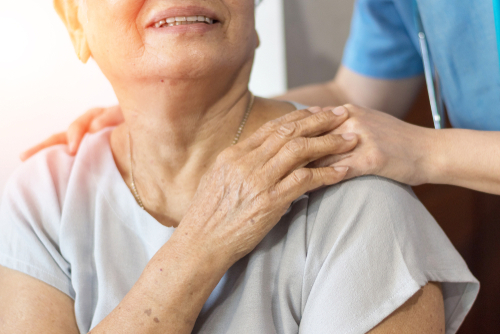 Some families use modern home care services by employing servants while some still prefer the traditional methods of being cared by the younger generations of the family members. 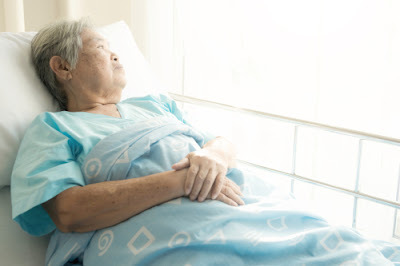 It is expected that one in three people in Singapore will need some form of eldercare by the year 2030. Although robotics and home-technology will also be utilized by then to provide services and offer solutions, more home care workers will still be required. Currently, if you walk in a hospital on a weekday, it won’t take you long before you spot a domestic worker pushing an elderly person in a wheelchair for an appointment. Research conducted by a local magazine reveals that up to 70 percent of families in Singapore hire homecare givers because they need help in taking care of their aging parents and relatives. 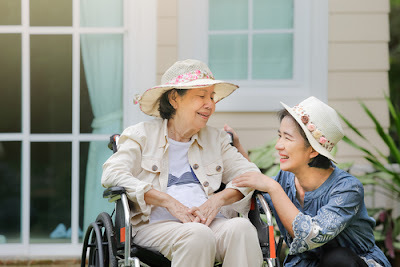 For adult-children living in different geographical locations or those who work till late, having a home caregiver to keep an eye on their aging parents usually brings peace of mind. Traditionally, the elderly in Singapore were often cared by young family members within the extended family. 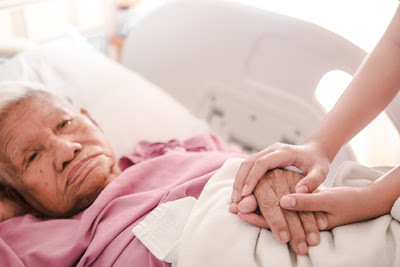 However, with modernization, most modern families are now turning to home care service providers as well as social services offered by government institutions. The main reasons for this kind of change include the geographical dispersion of family members, greater life expectancy of the elderly and decreasing family size. Additionally, more and more women are getting educated and working outside their homes. Elderly care majorly emphasizes on personal and even social needs of senior citizens who need assistance with daily activities. 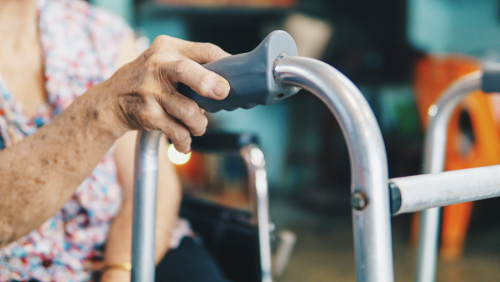 It should be noted that a large portion of elderly home care falls under the unpaid market sector hence it’s important for companies to train employees to be truly customer-centered. These services are offered to seniors who have cognitive or physical limitations that make bath-time very difficult. They can be assisted with shaving, showering, shampooing, hair combing/ styling among other grooming needs. One of the best ways of maintaining quality life is remaining active in your golden years. Caregivers usually help seniors to remain active by assisting them in getting around, from place to place, comfortably and safely. As the elderly continue to age, positioning and physical movements get difficult. Getting out of chairs, wheelchairs or bed can become difficult leading to high risks of developing bedsores. Proper positioning and transferring can help to significantly reduce bedsores and other immobility related risks like muscle atrophy. Physical transfer and positioning help to facilitate proper breathing and digestion. Toileting and Incontinence is a sensitive and common issue among the elderly. Without proper and constant help, Incontinence and improper toileting can lead to issues such as unpleasant odors, skin infections, and general hygiene problems. Caregivers offer compassionate and dignified help with such personal aspects that happen in the daily lives of the elderly. A healthy and nutritious diet is an essential part of ensuring that the elderly are healthy. Many seniors have medical conditions such as diabetes, blood pressure, osteoporosis or heart diseases hence they need to have prescribed meal plans that they must stick to for health reasons. Caregivers help to do this by supervising and ensuring that the elderly get proper nourishment. Loneliness is one of the major factors that negatively affect the elderly in Singapore. The young generation of family members are busy with their lives and even when they are at home, current technology means that most of them are glued on their phones and computers leaving the seniors with no one to talk to. 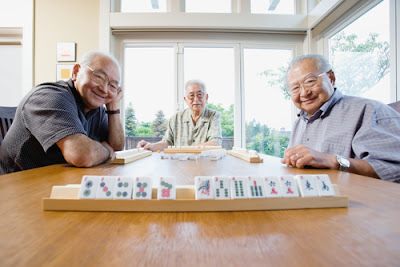 Studies have shown that those seniors who are social and engaged normally have a better quality of life and low tendency of developing depression with reduced chances of cognitive decline. Caregivers can help provide company by providing friendly companionship, conversations as well as engaging in meal-time chats. Daily tasks such as laundry and meal preparation can be difficult tasks to the elderly. Home Caregivers can step in and help with such tasks by preparing wholesome meals and taking care of the laundry needs such as washing, drying, and ironing. They include services such as sweeping, vacuuming, mopping and dusting. Care Givers can clean the kitchen sinks, counters, appliances and taking out trash, straightening bedsheets and curtains, re-arranging and organizing drawers and closets, cleaning bathroom sinks, showers, tubs, and toilets. Other companionship and in-home care services include grocery shopping, providing transportation to medical appointments, beauty salons, barber shops, restaurants among others. Much of Singapore’s population is rapidly aging and home caregiving services are still expected to be in demand. But there is still gender discrepancies in-home caregivers with the majority of family caregivers being women. Recent research reports conducted on the demographic characteristics of caregivers indicate that over 55 percent of the caregivers are females with a huge majority lying between 45 -55 years old.